Job Title: Design Manager Reference: CT3012 Job Expiry Date: 2nd May at Midday Salary: £61,040 per annum + £5k car allowance Job Location: Croydon Hours: 36 hours per week Contract Type: Permanent About the role We are growing our Development Division across the UK to become one of the country's top 5 builders in the next 3 years, and are offering a new and exciting opportunity for a Technical Manager looking to make their mark. As Design Manager, you will be accountable for assessing and providing technical support and designs for all geo-environmental, structural, civil, architectural, utility and other salient technical issues associated with the schemes which Clarion bid for and develop in various procurement forms from land identification stage through until completion and aftercare. Reporting to the Head of Design and Technical l), the aim of the role is to carry out technical due diligence whilst working alongside the Land and new business during the offer, contracting and planning stage, supporting the detailed design management thereafter you will ensure that all technical aspects of developments are fully understood, communicated and managed including the thorough assessment of all risks and opportunities. You will work to ensure that technical assessments and designs are achieved on time, to an agreed fee budget and which deliver the required Clarion financial returns. What you'll be doing Advise the Land and Planning team on the technical viability of potential new sites. Work on projects providing full technical support and management duties as required throughout the whole project life. Enable the production of technical reports for land appraisals, and oversee the preparation of Section designs such as S38, 278 and S104 for adoption including utility design, details and specifications with minimum supervision Provide technical support/management and information on projects for Land, Sales and Marketing and Delivery teams and maintain good communication to ensure the required level of service is maintained. Work collaboratively with other technical disciplines in Design and Commercial as well as overseeing fee negotiation and the appointment of consultants. Comply with responsibilities as laid down in Clarion's Health, Safety and Environment Policy. At all times comply with company policies, procedures and instructions. Obtain interrogate and check information from external consultants, suppliers and manufacturers. Dependent upon the procurement route this could also include contractor's information. You will have the following: A complete understanding of geo-environmental, structural, architectural, town planning and utility aspects of residential development. Be CAD proficient with an understanding of Building Information Modelling (BIM) A strong track record of managing the technical aspects of a wide range of short term and strategic residential schemes and maximising returns. This is within the context of low rise traditional housing, tall framed mixed used schemes and refurbishment of existing buildings, within a contractor or developer. Procurement of value engineered technical designs which respond to the risks, opportunities and constraints of the site and scheme. Proven commercial acumen and significant experience of successfully implementing new growth opportunities in line with ambitious targets. Strong planning, leadership, monitoring, reporting & motivating skills to maximise productivity and performance and to meet challenging deadlines, leading by example. Applicants must be able to travel across regions as required. If this sounds like an opportunity you'd be interested in, we look forward to hearing from you. Closing Date: 2nd May at 12pm Applicants must be able to travel across regions as required. Internal Only - Please ensure you have read the information contained within the ' Before applying' link at the top of the vacancies page. For further details on this vacancy, and to apply, please visit our website http://vacancies/ About Clarion Housing Group Clarion Housing Group owns and manages 125,000 homes across 176 local authorities. It is the largest housing association in the UK and is also one of the country's leading housebuilders. It has a combined turnover of £827 million, a surplus before tax of £233 million and existing assets worth £20 billion. Clarion Housing Group's sales and development ambitions will be delivered by Latimer. It will be responsible for building over 50,000 new homes over the next ten years, two thirds of which will be affordable. It will work with the public and private sector to maximise supply of desperately needed new homes. We are committed to equal opportunities in employment and service delivery. A Tier 1 main contractor is on the lookout for a Senior Estimator to join their Estimaitng Division based out of their London office. The client deliver projects across the UK with a particular focus on the London market. As an established player in the UK market, this business is looking for a Senior Estimator that can be with them long term, as there is scope for vast personal development within an already flourishing business and team. Thus, the successful individual must be ambitious and hardworking, with sound industry knowledge and a proven track record of estimating in the construction sector. High-rise experience would be preferable as the company has recently been focusing on high-rise mixed use projects across the capital. This individual can be from a main contracting or developer background but must have experience buidling tenders on high profile projects in London. This candidate will join as a senior member of the team and must have the ability to work on a standalone basis throughout the tender stage, taking real ownership of projects throughout. Estimator Requirements: Managing the whole tender process including bills of quantities, take offs, pricing, first principles Familiarity with relevant software's and packages including Microsoft Office. Must be comfortable handling large volumes of data. Proven track record of winning business. Experience with relevant Estimating packages, eg Conquest, CostX, COINS Degree educated is preferred but not essential If this role sounds of interest, please apply online to Owen Dearn at X4 Group (see below) or call for more information. They are looking to arrange interviews for w/c 23th April 2019 with a view to start the successful candidate as soon as possible. About Us X4 Construction is a specialist recruitment business for the construction sector. We are part of the X4 Group, a multi-award-winning group of brands specialising in Life Sciences, Engineering, Construction and Technology, with over 10 years of experience in successfully placing mid to senior level contract and permanent professionals across the globe. Our network of world class construction talent sets us apart from the rest and allows us to deliver skilled professionals to our construction partners across a number of industry sectors including Commercial, Residential, Healthcare, Education, Data Centres, Leisure, Stadiums, Rail, Hotel and Industrial. We have partnerships with leading construction companies all over the world and have made placements in over 13 countries across Europe, New Zealand and the US. Quantity Surveyor - Reactive Maintenance/Schedule of Rates Experience £Salary + Benefits + Car / Allowance + Bonus Stockport Howells Solutions are working with a leading UK Social Housing / Regeneration Contractor to find a successful and proactive Quantity Surveyor to join their team in the North West. Due to recent contract wins, this is a great time to join our client who are are enjoying a substantial period of growth. Reporting to the Commercial Manager, you will take responsibility, ownership and accountability of the successful management and control all aspects of the commercial / financial and contractual elements in order to control and maximise the company's profitability, protect the company's legal and contractual obligations under the contract and to manage the control of all day to day commercial issues. We are looking to speak to experienced Quantity Surveyors from either the Social Housing, Construction, Civil Engineering or FM markets. Schedule of rates experience would be advantageous but not essential. Key responsibilities: Provide commercial expertise to contracts, to include the production and submission of valuations, claims, budget monitoring, and contract/workstream performance data Support the authorisation and submission of project variations. Maximise cash flow through the control, measurement (including quality) and valuation of work, and the invoicing of customers and payment of suppliers Value work executed by sub-contractors and certify interim and final payments Essential experience: Degree or other technical qualification Quantity Surveying experience with a main contractor Strong commercial awareness Proven track record delivering contracts on time and within budget Advanced Excel skills including pivot tables and V-Look Up Data interrogation skills Contractual awareness Negotiating, communication & presentation skills Knowledge of Supply Chain management RICS / CIOB qualification - Preferred Salary & Benefits: You will be working for a modern, forward thinking business; that believe the strengths, skills and personalities of their people are the key to the groups success. This is a permanent, full time role for which you will receive a highly competitive salary and benefits package. Applications If you feel that you have the relevant experience to be successful in this position and would like to find out more please apply online today attaching a copy of your current CV. Alternatively contact us on . Howells Solutions are an Equal Opportunities employer. All applications will be dealt with in the strictest confidence. Howells Solutions acts as an Employment Business for the supply of temporary workers and an Employment Agency in relation to permanent vacancies. H9 Technical are currently recruiting for a Construction Contracts Manager to join the Senior Project team on a major new build Infrastructure project in the North West. You will partner with the Project Director and will be responsible for Commercial and Contractual matters throughout the project life cycle. This a full time contract role for a period of around 4 years. Duties to include (but are not limited to): Monitoring and managing the commercial aspects of the project contracts Provide technical & financial reporting, monitoring & project progress. Monitoring & managing project risk expected by the shareholders is undertaken. Reporting to the Project Director (PD) Ensuring costs are tracked, and forecast accurately. Provide safety leadership on site, supporting EPC Contractor & Owner's Engineer Ensuring all milestones are completed and certified by the Owner's Engineer Managing any claims that may arise through any of the project contracts You will have: Demonstrable experience of managing commercial contracts on large complex infrastructure projects ranging between £200 - 500m Experience of managing large scale EPC Contracts with Global Contractors and of managing Contractors with a "claim" culture. Experience of managing industrial relations on Power Plant / Heavy Industrial construction sites. Experience of Large Scale Construction Project Management Exceptional organisational skills with the ability to prioritise and multi-task in a dynamic and fast-paced environment. The Company A leading global natural and built asset design and consultancy firm working in partnership with clients to deliver exceptional and sustainable outcomes through the application of design, consultancy, engineering, project and management services. The business differentiates through its talented and passionate people and its unique combination of capabilities covering the whole asset life cycle, its deep market sector insights and its ability to integrate health & safety and sustainability into the design and delivery of solutions across the globe. The Role: A Project Manager required to work within the Infrastructure Sector providing focussed delivery on key projects. The successful candidate should have experience of infrastructure related to large Residential projects including Roads, Sewage, public open space etc. Responsibilities Responsible for administration of infrastructure projects, mostly using ECC form of contract. Leading project teams in the delivery of client requirements from inception to completion Setting up and delivery of best practice PM systems and controls Leading service delivery with existing key clients, maintaining and strengthening the client relationships, using opportunities to cross-sell Gain the confidence of the client and become the focal point for communication Represent the company in a professional and diligent manner, meeting, negotiating and corresponding with clients forming a strong working relationship in true partnership Ensure consistency of service delivery and identify opportunities for developing both the quality and profitability of the service Assist in the production of management information required by the company and take responsibility for the accuracy of said information Assist in providing best practice and continuous improvement within delivery teams The Candidate As the ideal candidate you will have a strong track record in Project Management and Contract Administration and a high level of knowledge and proven experience of managing infrastructure related to residential developments. You must have experience and working knowledge of ECC forms of contract along with previous exposure to highways projects. Ideally you will hold a recognised degree in a related discipline and / or be professional qualified i.e. Chartered Engineer. Job Reference: CTU/21734 By responding to this advert, you consent to Cavendish Maine processing the personal data included within this application. If your application is successful, we will contact you to discuss the opportunity in more detail, within 48 hours of receiving your application. Should you not hear from us within 3 working days please assume your application has been unsuccessful on this occasion. Please be advised that if unsuccessful for this role we may keep your details in our hold file, during which time you may be contacted for other suitable vacancies. If you do not want us to do this, please call us to advise. In the meantime, we would like to thank you for your interest in Cavendish Maine. Trowers & Hamlins is a City-led, international and national law firm with over 130 partners and 830 staff. With offices across the UK, Middle East and Far East, we provide a full-service integrated offering. Our clients operate in diverse industry sectors such as construction, transport and infrastructure, banking and financial services, distribution and logistics, education and health, hotels and leisure, defence, engineering and surveying, charities, retail and energy and natural resources. We also act for many high net worth individuals. We are different and we believe it is our people that make us unique. We expect and respect that you and your talents are too. The truth is we don't prescribe who you are or how you ought to be. It's what you can do that interests us most. While the work on offer is rewarding and often complex, the qualities we look for are simple. The ability to get on with people from all walks of life, for example. To talk and to listen. To develop the sorts of relationships that mean you win the friendship and loyalty of clients and colleagues alike. In short, to connect. These are the characteristics our people all have in common. They are vital, as is the drive and imagination to use your unique talents to the full. We will help you in this. In fact, we will support you in every way we can. The Department: Our award-winning construction practice is, justifiably, one of the leaders in the construction legal field; equally comfortable acting on landmark national infrastructure projects or niche social housing developments, and our work takes us across the globe, wherever our clients are active. Our national offering is a 'life span' service for all construction/engineering related matters, from initial structuring, procurement advice, setting up contracts, appointments, joint ventures and development agreements with backup specialists in employment, energy, property and tax. We are integrated with our colleagues in real estate, housing and regeneration, tax and planning. The team combines legal excellence, commercial acumen and an impressive track record together with a deep understanding of the construction industry. A number of our team are ranked as experts and leading practitioners in their field by Chambers UK and Legal 500. The Team: You'll form part of a strong local team and will be supported in keeping ahead of the latest industry trends and developments to best deliver for our clients. The scope of work in Birmingham is broad and has involved acting on a number of large and varied schemes within the housing, education, leisure and commercial sectors. The team has been appointed to the West Midlands Combined Authority Legal Panel and to UK-Central in connection with arrangements associated with HS2. Recent transactions include advising East Northamptonshire Council in relation to the East Northants Enterprise Centre Project; acting for Seven Capital and Prosperity Developments on various city centre developments in Birmingham; advising various public sector procurement consortia on complex asset management procurement exercises; acting for Belfast City Council on the construction of four new leisure and sports centres; advising and acting for the Trustees of Dorset County Museum on their project to renovate and extend the museum; supporting a variety of new build schools projects for the DfE; and advising Wolverhampton City Council in relation to refurbishment of the Civic Halls. As part of a 42 strong fee-earner national department you can also expect to work alongside colleagues on work which is being led out of our other UK offices as well as, working closely with our Birmingham real estate practice in advising public sector and private developer clients. For example the team is currently supporting projects in Torbay (housing re-development) , Bracknell (landfill remediation and housing), Hammersmith and Fulham (large scale regeneration and redevelopment) and Camden & Islington (major hospital redevelopment). Principal responsibilities: Advising clients including UK and international developers, investors, local, central government departments, employers, housing associations, subcontractors and consultants operating in public and private sector; Advising on construction and procurement strategies (including EU procurement work), risk management, procurement and tendering and contract formation; Asset management; Advising on all aspects of development through design and consultation; Advising major contractors, architects and other consultants on their role in various projects including PFI/PPP projects; Providing construction due diligence support to the real estate, corporate and banking teams on acquisitions and disposals; Advising on development transactions providing input on professional appointments, building contracts, development agreements and related construction documents; Advising local authorities and RPs on standard form building contracts adapted from published forms including those written by Trowers & Hamlins (PPC2000 and TPC2005) Advising on public procurement processes for a wide variety of works such as schools programmes, public buildings and a diverse range of public services Providing support in the closing of PFI and PPP projects including building contracts, professional appointments and facilities management agreements Building and maintaining effective client relationships Active participation in marketing initiative Participating in firm-wide and departmental training sessions Training and development of junior legal staff and admin support/PA (where appropriate) Person specification: The firm has a Career Development Framework which sets out the competencies we expect of those at this level. In particular, for this role we require: Experience and qualifications required: Excellent technical skills and innovative approach to their application; Proven ability to take on responsibility, manage and progress matters independently where appropriate; Strong client focus and service delivery; Drive and enthusiasm; Commercial awareness; Credibility; Aptitude for business development; Substantial client management experience; Proven track record in origination/business development and Methodical, disciplined and organised approach. Solid academic record; Qualified Solicitor with relevant level of post-qualification experience in non-contentious construction; Additional Information As part of our firm recruitment policy our candidates are subject to employment screening background checks. These checks include personal details, education and employment history, professional qualifications and credit and criminal checks as appropriate. Trowers & Hamlins is an equal opportunities employer and we welcome applications from every sector of the community. All applications will only be considered on merit and the applicant's suitability to meet the requirements of the role. Trowers & Hamlins is a City-led, international and national law firm with over 130 partners and 830 staff. With offices across the UK, Middle East and Far East, we provide a full-service integrated offering. Our clients operate in diverse industry sectors such as construction, transport and infrastructure, banking and financial services, distribution and logistics, education and health, hotels and leisure, defence, engineering and surveying, charities, retail and energy and natural resources. We also act for many high net worth individuals. We are different and we believe it is our people that make us unique. We expect and respect that you and your talents are too. The truth is we don't prescribe who you are or how you ought to be. It's what you can do that interests us most. While the work on offer is rewarding and often complex, the qualities we look for are simple. The ability to get on with people from all walks of life, for example. To talk and to listen. To develop the sorts of relationships that mean you win the friendship and loyalty of clients and colleagues alike. In short, to connect. These are the characteristics our people all have in common. They are vital, as is the drive and imagination to use your unique talents to the full. We will help you in this. In fact, we will support you in every way we can. The Department: Our award-winning construction practice is, justifiably, one of the leaders in the construction legal field; equally comfortable acting on landmark national infrastructure projects or niche social housing developments, and our work takes us across the globe, wherever our clients are active. Our national offering is a 'life span' service for all construction/engineering related matters, from initial structuring, procurement advice, setting up contracts, appointments, joint ventures and development agreements with backup specialists in employment, energy, property and tax. We are integrated with our colleagues in real estate, housing and regeneration, tax and planning. The team combines legal excellence, commercial acumen and an impressive track record together with a deep understanding of the construction industry. A number of our team are ranked as experts and leading practitioners in their field by Chambers UK and Legal 500. The Team: You'll form part of a strong local team and will be supported in keeping ahead of the latest industry trends and developments to best deliver for our clients. The scope of work in Birmingham is broad and has involved acting on a number of large and varied schemes within the housing, education, leisure and commercial sectors. The team has been appointed to the West Midlands Combined Authority Legal Panel and to UK-Central in connection with arrangements associated with HS2. Recent transactions include advising East Northamptonshire Council in relation to the East Northants Enterprise Centre Project; acting for Seven Capital and Prosperity Developments on various city centre developments in Birmingham; advising various public sector procurement consortia on complex asset management procurement exercises; acting for Belfast City Council on the construction of four new leisure and sports centres; advising and acting for the Trustees of Dorset County Museum on their project to renovate and extend the museum; supporting a variety of new build schools projects for the DfE; and advising Wolverhampton City Council in relation to refurbishment of the Civic Halls. As part of a 42 strong fee-earner national department you can also expect to work alongside colleagues on work which is being led out of our other UK offices as well as, working closely with our Birmingham real estate practice in advising public sector and private developer clients. For example the team is currently supporting projects in Torbay (housing re-development) , Bracknell (landfill remediation and housing), Hammersmith and Fulham (large scale regeneration and redevelopment) and Camden & Islington (major hospital redevelopment). Principal responsibilities: Advising clients including local and central government departments, developers, employers, contractors, housing associations, subcontractors and consultants operating in the commercial / private and public sectors. Advising on all aspects of development through design and construction. Advising on asset management contracts and maintenance contracts. Providing construction due diligence support to the real estate, corporate and banking teams on acquisitions and disposals. Building and maintaining effective client relationships. Active participation in marketing initiatives. Ensuring files are managed in compliance with Lexcel procedures. Participating in firm-wide and departmental training sessions. Person specification: The firm has a Career Development Framework which sets out the competencies we expect of those at the Solicitor grade. In particular for this role we require: Experience and qualifications required: Excellent technical skills, Strong client focus, Drive and enthusiasm, Commercial awareness, Credibility. Excellent academic record. Qualified solicitor. The willingness to learn and develop an understanding of the construction sector. Additional Information As part of our firm recruitment policy our candidates are subject to employment screening background checks. These checks include personal details, education and employment history, professional qualifications and credit and criminal checks as appropriate. Trowers & Hamlins is an equal opportunities employer and we welcome applications from every sector of the community. All applications will only be considered on merit and the applicant's suitability to meet the requirements of the role. Job purpose To provide construction planning, programming, prelims and methodology input for projects at prequalification, tender and contract stage by developing an accurate assessment of sequence, methodology and time. Reproduction of best timeline going forward in the design & construction period. Responsibilities Planning and programming input into prequalification's and bids which will involve developing the construction methodology; Preparing tender programmes, method statements phasing drawings and other supporting information; Liaising with our bid managers, estimators, designers, temporary works department and specialist subcontractors as necessary; Preparing presentation material using PowerPoint, Sketch-Up, Paint or similar and presenting our construction proposals at interview; Experience of 4D planning desirable; At contract stage preparation of programme and works with the site teams to prepare detailed construction programmes, design and procurement programmes and other supporting information; Work with commercial team to evaluate the effect of change during contracts; Collate data to record performance and maintain as-built records; Provide on-going support to site teams to review progress or update programmes and report as necessary; May directly supervise a technician or operational staff on rotation; Input into regional planning working group for continuous improvement; To support and be familiar with own role and responsibility in respect of Business Continuity Planning. Ensuring that team members are also aware of the plans and communicates same. Knowledge skills & experience Keen interest and a good knowledge of building, civil engineering or general construction techniques and methodology; Suitable level of safety training/hold an appropriate CSCS card; Familiarity with the standard Microsoft Office suite of software (particularly Word, Excel and Powerpoint); Ability to absorb and assimilate project information quickly and to demonstrate clarity of thought in developing and presenting solutions; An ability to think laterally and apply innovative solutions can be an advantage; Effective verbal and written communication skills; Confidence to communicate within the company as well as clients, industry professional and suppliers outside the company; An understanding of the design and procurement process and an awareness of contractual matters; Lean programming skills; NEC compliant programmes; Track & re-schedule monthly reports; Site experience on a variety of projects covering common construction techniques; Capable of preparing programmes using one or more of the project management software packages in use in the company. Use of Asta Powerproject is essential and Microsoft Project desirable; Membership of a professional body e.g. CIOB or ICE is encouraged; Early Contract Involvement experience. Person An ability to think laterally and apply innovative solutions can be an advantage; Ability to work independently and manage own workload but must also be able to work effectively as part of a team; Effective verbal and written communication skills. batec are working with a leading Civil Engineering Contractor who are looking to recruit a Head of Health & Safety. Based in their head office in Wiltshire you will be required to visit sites and attend client meetings across the South West and London areas.Abatec are working with a leading Civil Engineering Contractor who are looking to recruit a Head of Health & Safety. Based in their head office in Wiltshire you will be required to visit sites and attend client meetings across the South West and London areas. With a strong presence in the South West and London the company specialise in heavy civils projects including Rail, Tunnelling and Highways. With some recent successes they now boast a full work book for 2019 and have a strong pipeline of work for 2020. As Head of Health and Safety you will ensure the business is compliant, deliver training when required, carry out inspections and audits against the current health and safety practices across multiple sites. As a Head of Health & Safety you will need: To be a Chartered H&S professional (CMIOSH) In depth knowledge of Rail projects Thorough knowledge of ISO 14001 and ISO 4500 A track record of working on major multi discipline construction projects Experience in managing accident / incident investigation and determine root causes Thorough knowledge of H&S and Environmental statutory legislation and how to implement them IIRCA certified internal auditor (HS&E) Knowledge of the CDM regulations Able to lead the HS&E teams in a challenging fast pace environment Experience of training and managing teams As Head of Health and Safety it would be desirable however not essential that you also have: A NEBOSH Certificate in Environmental Management IRCA Qualification Proficient Computer Skills Experience in high risk construction environment e.g. nuclear / oil and gas A national certificate or equivalent in Fire Safety and Risk assessment Experience in RISQS auditing Base Salary £80,000 Company Car Pension Healthcare 25 Days Holiday If you would like more information, or to apply for this vacancy, please contact Lisa McNulty. The reference for this vacancy is 128871. We are always looking for candidates for similar positions, so please register your details to hear about similar opportunities that you may be interested in. Abatec Recruitment is working as an employment business on behalf of a client. Omega Resource Group is looking to appoint an energetic and experienced Quantity Surveyor. Working with a small well-established QS team and reporting into the Commercial Director. The Quantity Surveyor will manage all costs relating to general building, refurbishment and civil engineering projects, from the initial calculations to the final figures. You will seek to minimise the costs of a project and enhance value for money, while still achieving the required standards and quality. You will be involved in a project from the start, preparing estimates and costs of the work. When the project is in progress, you will keep track of any variations to the contract that may affect costs and create reports to show profitability. Responsibilities *Assist in the estimating process when required *Produce detailed valuations including variations in timely fashion to Client and agree *Issue subsequent invoice and ensure payment in line with main contract terms agreed *Agree Final Account on completion of works *Ensure all necessary contract documentation is in place eg warranties, guarantees, cashflow etc *Assisting the Ops team, ensure all relevant contract Notices & Requests are issued in a timely manner *Working with the Ops team, produce and manage the procurement schedules *Send out subcontract enquiries to achieve project procurement requirements, *Complete quote analysis *Issue recommendation to ensure programme and cost requirements are achieved *Place subcontract orders and manage accounts through to Final Account *Carry out regular detailed valuations in line with subcontract terms and issue payment notices *Where necessary along with Ops team issue payless, default, delay and set off notices etc to ensure correct subcontract management *Ensure all necessary subcontract documentation is in place eg warranties, insurance etc *Manage and update subcontractor database *Implement and ensure strict change control upstream/downstream *Produce monthly CVR and manage to maintain and improve the project profit margin *Where required produce cashflow forecast and update when necessary *Attend project meetings when required and address any commercial issues *Work in collaboration with the Ops team to complete any internal reports necessary and to ensure risks are identified and managed out and opportunities are maximised Experience *Experience in residential as well as commercial (preferably hotel and leisure). Salary: dependent on experience Omega Resource Group Ltd is acting as an Employment Agency in relation to this vacancy. Are You A General Foreman looking for your next long term contracting opportunity on a Major Highways Scheme? Our Client, a tier 1 contractor has an Exciting opportunity for an Experienced General Foreman in the Buckinghamshire area. Key Responsibilities: To take full responsibility for controlling all physical elements of the work from commencement through to the issue of the Defects Certificate. This will include but not limited to: Overall day-to-day management of all site based construction works Ensuring that all site activities are executed in a safe manner, where the risk to health and safety of all persons coming onto the project is eliminated by competent careful coordination of the works thereby managing the HS&E culture on site to meet our stringent targets and expectations Ensure that comprehensive records are maintained of the day-to-day construction activities Ensure there is effective coordination of all persons working on the project Ensure that both Temporary works and Permanent works are executed in accordance with the associated designs To maintain and maximise quality of service and delivery Human resource management using both direct and subcontract labour Careful material / plant management to meet programme and financial objectives Assisting in the planning and programming of all on and off site activities Adherence to all Business Management Systems Customer engagement standards are maintained using appropriate support services where required Promote CBAB (Challenging Behaviours Affecting Beliefs) throughout site The Senior General Foreman is expected to be self-motivated, with the ability to perform the role successfully without the need for daily supervision. Experience and Qualifications: Strong track record working for a main contractor in Civil Engineering within major projects and/or highways is ideal Experience in the construction of highways and bridges Knowledge of temporary works techniques and the ability to ensure they are installed and maintained correctly Extensive experience in the construction of similar projects with significant experience at supervisory level must be demonstrated 4 day First Aid training preferred CSCS Managers Category SMSTS IT skills A Competitive rate will be paid, Apply online or Call our Birmingham office on Randstad CPE values diversity and promotes equality. No terminology in this advert is intended to discriminate against any of the protected characteristics that fall under the Equality Act 2010. We encourage and welcome applications from all sections of society and are more than happy to discuss reasonable adjustments and/or additional arrangements as required to support your application. Candidates must be eligible to live and work in the UK. For the purposes of the Conduct Regulations 2003, when advertising permanent vacancies we are acting as an Employment Agency, and when advertising temporary/contract vacancies we are acting as an Employment Business. 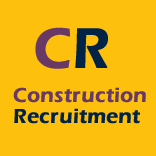 Our client, a construction company specialising in insurance repairs, is looking to bring in an Estimator with a high level of analytical and negotiation skills to assist with costing their projects, and with a strong focus on liaising with existing customers as well as developing new business. This is a home based position. As an Estimator you must be a conscientious, enthusiastic, driven cost setter and marketeer with an eye for numbers and a 'can do' attitude. You must be a strong team player, capable of managing multiple tasks, using your own initiative and able to communicate effectively at all levels. You should also have Quantity Surveying, Construction, Surveying, Civil Engineering or Loss Adjusting experience. As an Estimator you main duties will include, but not be limited to: Produce and review costed scopes of work for small-to-medium size building projects Prepare quotations, budgets and tender returns Review tender documents Research material and labour costs Maintain company price list Co-ordinate and conduct pre-start and handover meetings Provide support to internal staff regarding cost queries Track live project costs and variations against budget, producing reports as required Ensure minimum profitability levels are maintained Assist with marketing activities Monitor and report relevant management information The ideal Estimator will: Ideally possess a numerate or construction qualification to HND level or equivalent Proven ability to work under pressure, use initiative and prioritise workloads to meet deadlines Proven track record in cost management Highly numerate with strong analytical and problem-solving skills Excellent verbal and written communication skills A team player with excellent personal organisation and administration skills, along with attention to detail and accuracy Strong IT skills, particularly in MS Office applications - Outlook, Excel & Word Experience in the construction sector In-depth understanding of construction methodologies and pricing Ability to read and understand technical drawings A natural ability to search out and develop strong professional relationships with a range of people at varying levels Valid UK driving licence Benefits: 25 days holiday plus Bank Holidays Auto Pension Enrolment Annual Pay Reviews Thank you for your application however due to the high volume of candidates applying, if you have not heard back from us within 5 days please assume that you have not been successful on this occasion. A main contractor that works across a range of sector including residential, education and leisure, is on the lookout for an Estimator to join their growing commercial division. The client are based near Oxford and deliver projects all across Midlands and Thames Valley region. Having grown already through this financial year, this business is looking for an Estimator that can be with them long term as there is scope for vast personal development within an already flourishing business. Thus, this individual must be ambitious and hardworking, with sound industry knowledge and a proven track record of estimating in the construction sector. This individual can be from a main contracting or developer background but must have experience pricing projects up to £5 million. This candidate will join a team of 3 and must have the ability to work on a standalone basis throughout the tender stage. Estimator Requirements: Experience in the residential and commercial sectors is vital. Managing the whole tender process including bills of quantities, Familiarity with relevant software's and packages including Microsoft Office. Must be comfortable handling large volumes of data. Proven track record of winning business. Experience with relevant Estimating packages, eg Conquest If this role sounds of interest, please apply online to Owen Dearn at X4 Group on (see below) or call for more information. They are looking to arrange interviews for w/c 22nd April 2019 with a view to start the successful candidate immediately. About Us X4 Construction is a specialist recruitment business for the construction sector. We are part of the X4 Group, a multi-award-winning group of brands specialising in Life Sciences, Engineering, Construction and Technology, with over 10 years of experience in successfully placing mid to senior level contract and permanent professionals across the globe. We're a result driven business and our team of specialist recruitment consultants continue to go above and beyond what's expected to ensure our clients receive the highest ROI from their recruitment spend. We have partnerships with leading construction companies all over the world and have made placements in over 13 countries across Europe, New Zealand and the US.